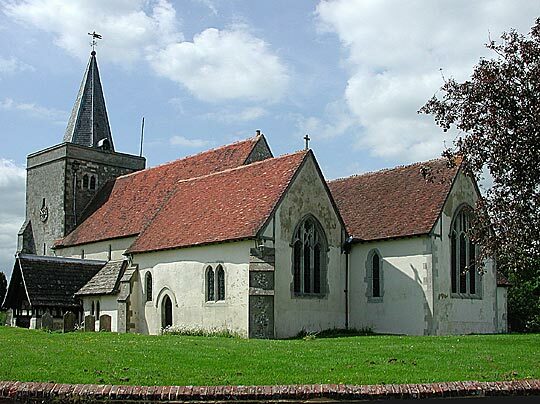 Externally this is a C13 to C14 church. 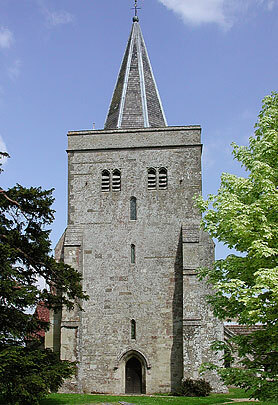 W tower with lancets and a later recessed spire. Both aisles have small lancets. So has the clerestory. 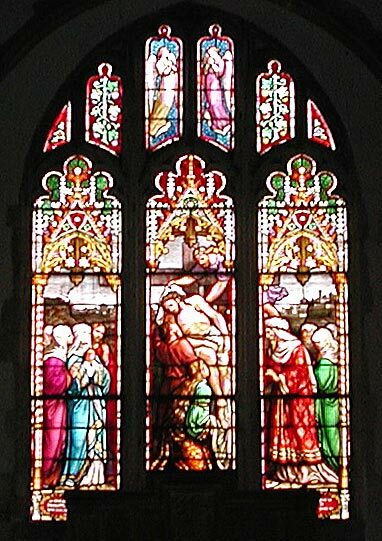 In the chancel is a long lancet too. 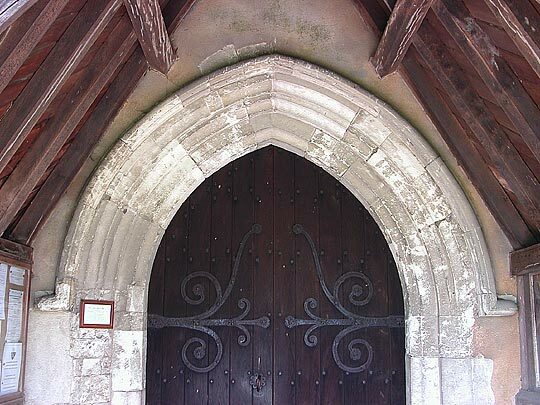 The S doorway with three hollow chamfers is evidently an addition (first picture below). 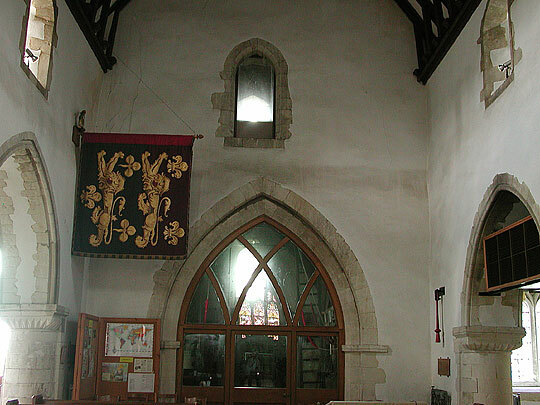 The big N transept has pointed-trefoiled window lights and bar tracery. One would call that 1300. 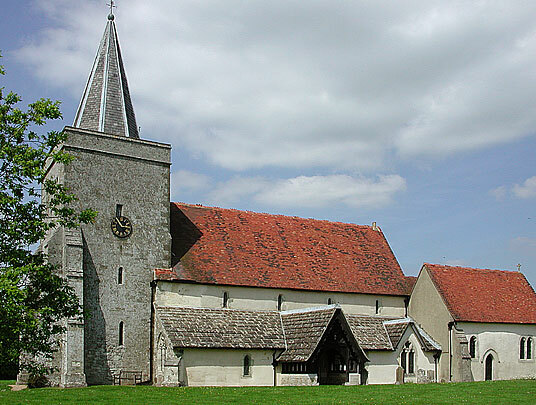 But it is known that it is after 1332, when Richard de la Bere founded a chantry here. His monument (see below) ... is still in the transept. So the window tracery is thirty years out. This lesson must be remembered as one enters the church. 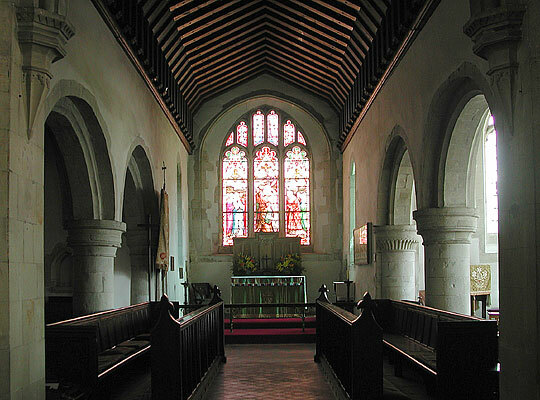 The east windows in the chancel and south chapel (Maiden Chapel) are Perpendicular, 15th century. It is an impressive interior, but it poses a puzzle. 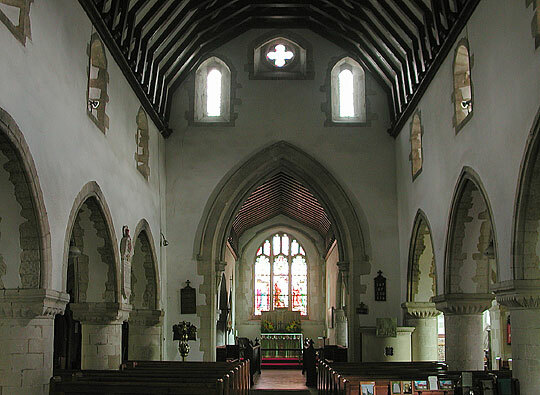 The nave is wide and has arcades of four bays l. and r. which one would date 1160 at the latest. Short, sturdy round piers, multi-scallop capitals (and parts of two with stylized leaves), square abaci. 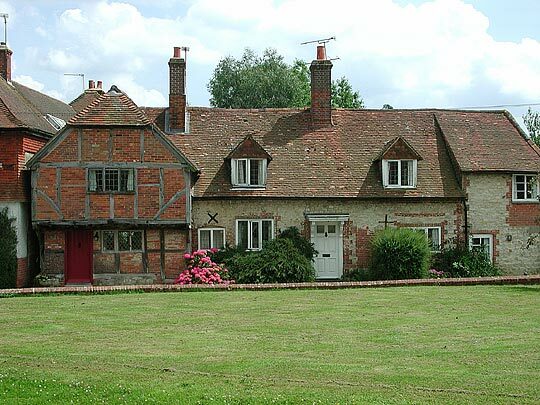 How does that fit in with the exterior? 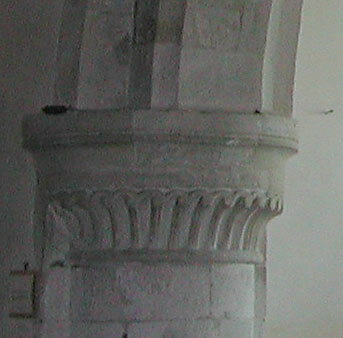 On the piers are pointed arches with a thin angle roll. 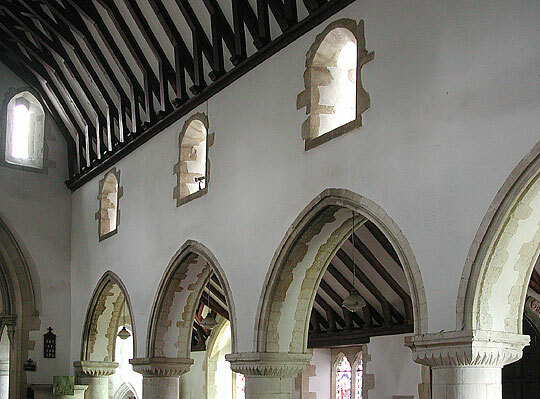 The aisle and the clerestory windows are lancets. 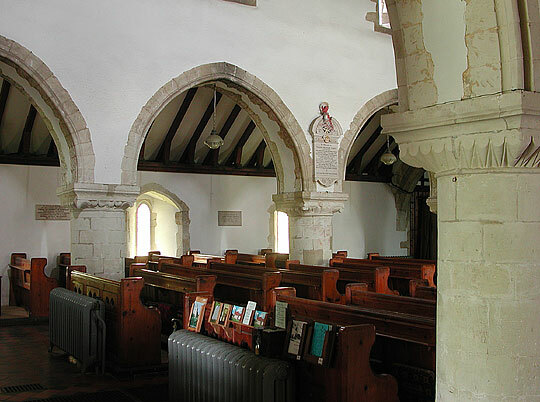 The chancel arch is a 19th century replacement. 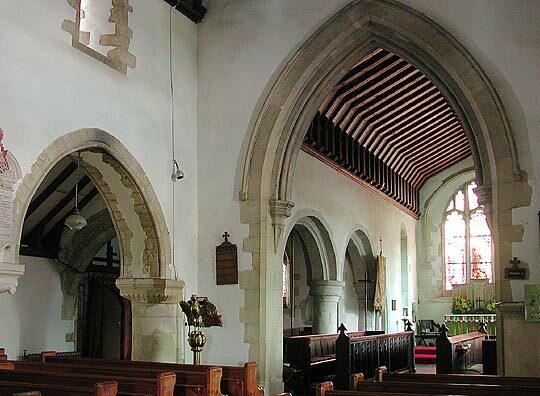 Then the tower arch, which is pointed and has one step and one chamfer, and the chancel chapel arcades of two bays, with round piers and round abaci and now round arches of one step and one hollow chamfer. 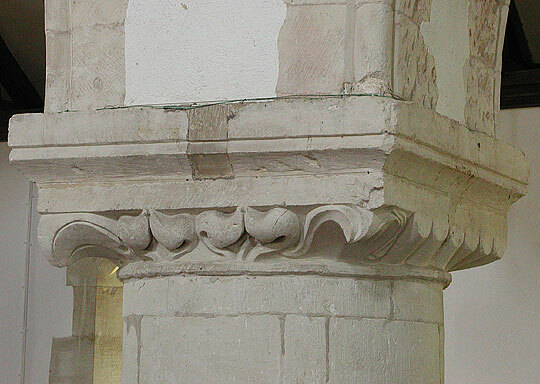 One capital has decorated trumpet scallops; one a nice variation on the trumpet motif. How does it all fit together? 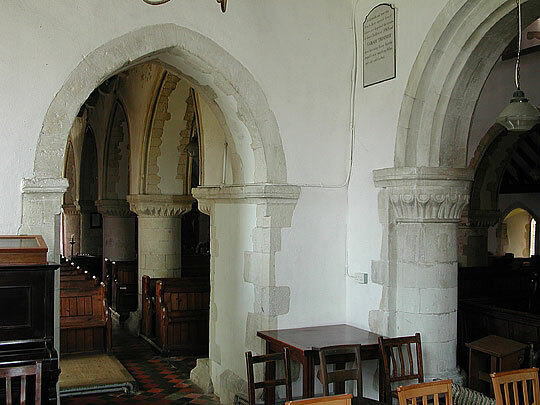 Did they start with the aisles at a preposterously late date, say in 1175, and then by c.1190 turn to the pointed arches and lancets? 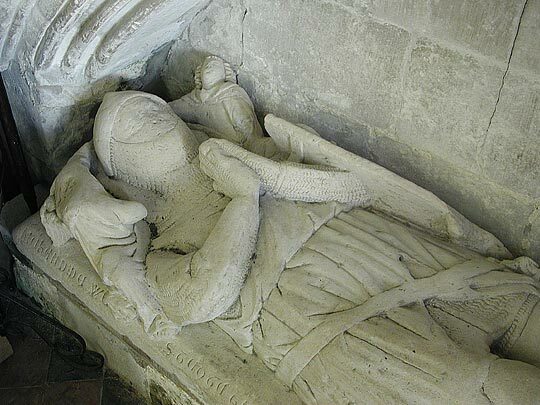 According to Pevsner this effigy is of Richard de la Bere from some time after 1332 when he founded the chantry chapel where the monument lies. 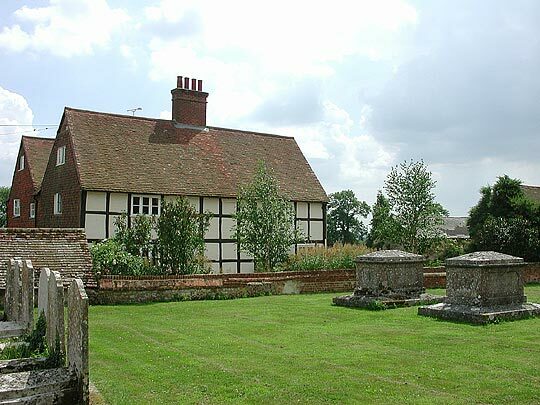 His monument, cross-legged, with two angels by his pillow, originally apparently very good ... 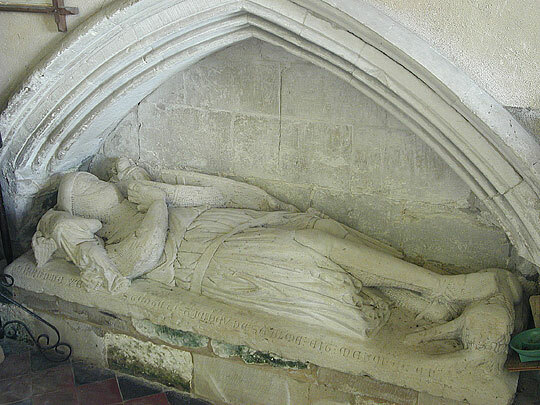 The recess of the de la Bere tomb is low and has fine mouldings. 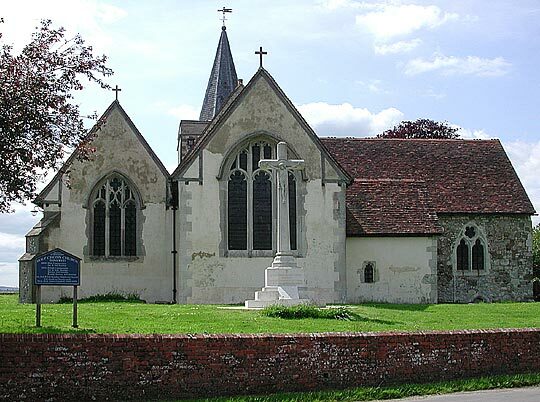 However, the church leaflet states "The tomb of a Crusader ... (who) may have been the father or grandfather of Richard de la Bere, and possibly fought in the 7th crusade under Edward I. ... 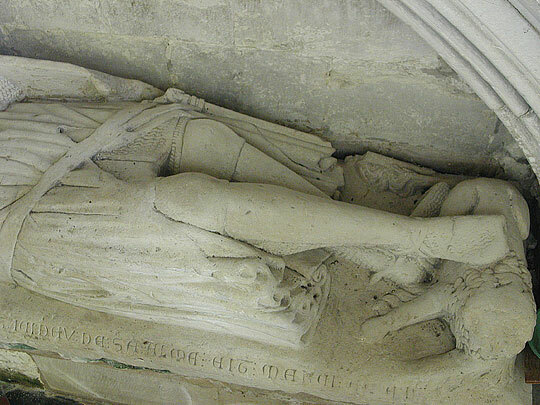 The Norman French inscription on the tomb reads:- Richard de Westcote gist ici de sa salme eit merci amen. 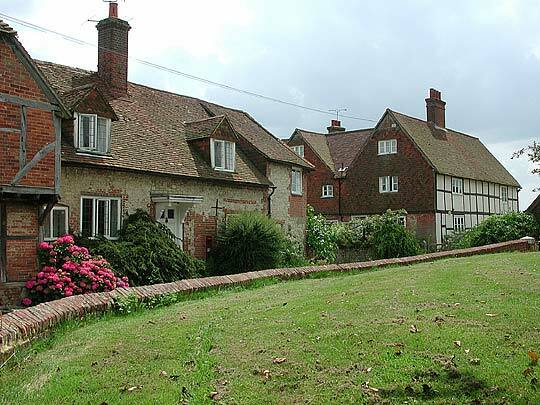 This means 'Richard of Westcote lies dead here. May God have mercy on his soul. Amen.' ". 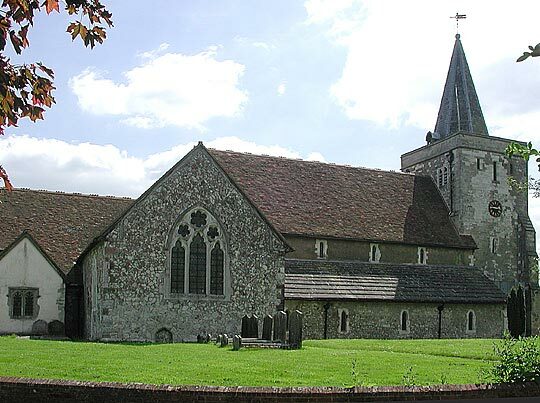 The church is in a lovely setting with grand distant views and picturesque houses around it, some timbered like the 16th century jettied house above and some in the local malmstone.